Chrysocolla is found in shades of blue or green and resembles turquoise in appearance. 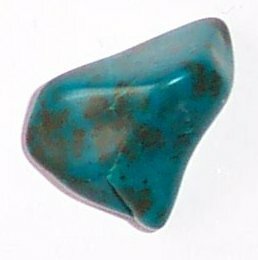 It has the reputation of being one of the most efficacious of the healing stones. It is reputed have been used as a healing stone by the priesthood of ancient civilisations. Chrysocolla is beneficial to the digestive organs, ulcers, high blood pressure, throat and lungs. It helps alleviate stress particularly when associated with fear or guilt. It is worn to increase confidence and makes one more comfortable when speaking the truth.